We’re offering FREE FREIGHT on any standing seam order that ships in January! Just mention this post when you call (888.766.4273) or email! Order for current need, or STOCK UP for future projects! OK, back to the story…. 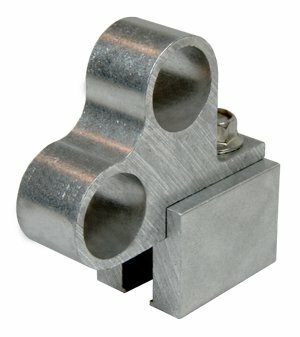 “Do you guys make a pipe-style snow guard that won’t look too commercial on a standing seam metal residential roof?” –Dennis C.
Dennis’ question really got me thinking. Thinking not only about Alpine SnowGuards’ products, but also thinking about how we can make sure you know that there is a GREAT pipe-style solution for managing snow on residential standing seam metal roofing. I’ll tell you the same thing I told Dennis: Take a look at our ASG3000. With its close-to-the-roof, low-profile design, and the ability to accommodate two 1” OD pipes, the ASG3000 is a rugged, proven snow management system that is functional, secure, AND attractive. 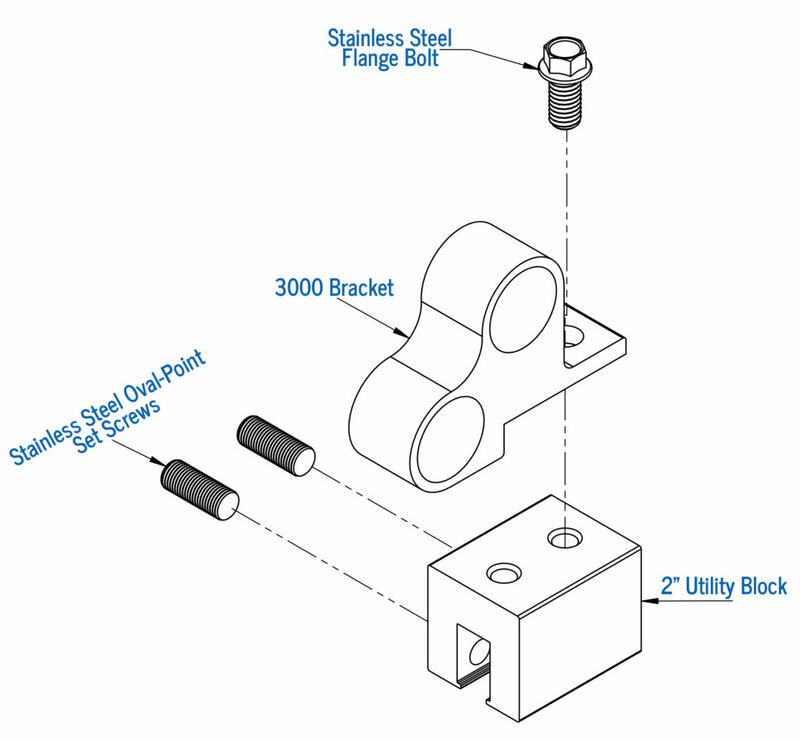 The use of two oval-point set screws provides a secure attachment point without penetrating the roofing material, and will not void roofing manufacturer’s warranties. Here’s a look at the Assembly/BOM. Simple, straightforward components! 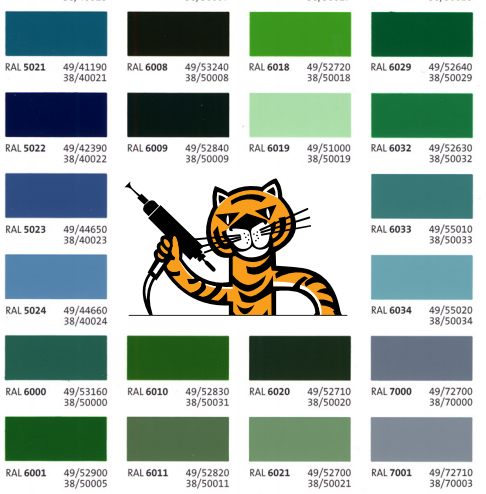 If you want your snow management system to match the roofing material, we offer powder-coating using RAL TIGER Drylac® Exterior colors (only a small portion of available colors are shown below – click on the image or on the “colors” link to see all available colors). I have to say, the powder-coated systems I’ve seen are sleek and absolutely beautiful. The system is available in configurations for both vertical and horizontal seams, and is compatible with the use of ice flags (as seen below) or ice screen. 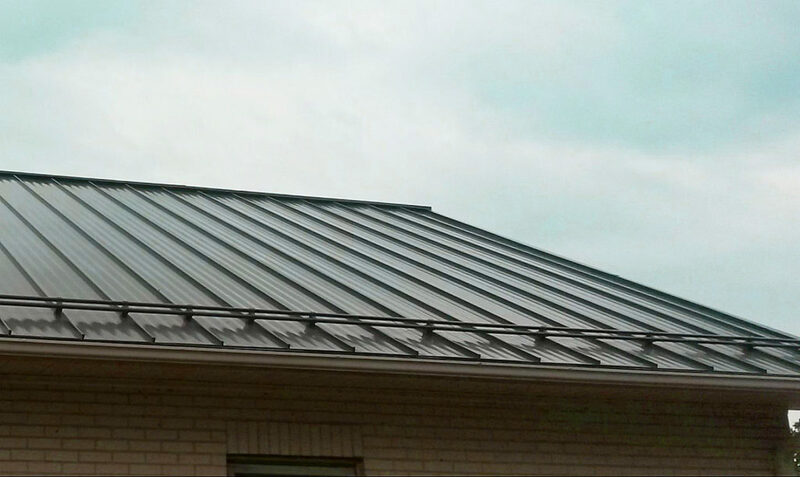 The homeowners we know who’ve had the ASG3000 installed on their roof are happy they did – and we know your clients will like knowing there’s a low-profile pipe option for their standing seam metal roofs. 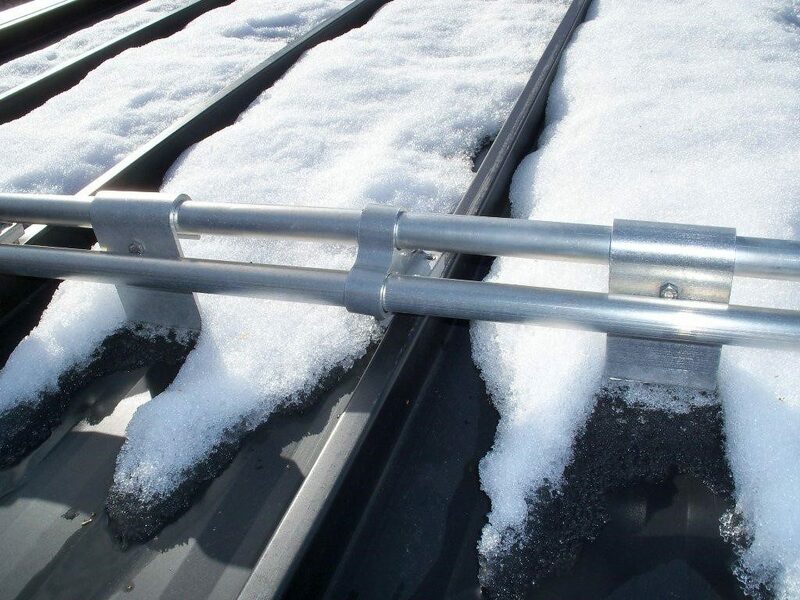 We manufacture over 60 snow management systems for ALL roof types, new or retrofit. Pad-Style, Pipe-Style, Fence-Style, and even systems specifically engineered for managing snow on solar arrays. 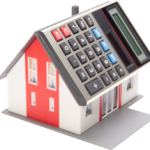 Have questions or want to know more about the ASG3000, or any system in our product line? Email our dedicated customer service crew – they’d be more than happy to help. Alpine SnowGuards designs, engineers, and manufactures snow management systems from our facilities in Morrisville, VT. We work closely with leading roofing contractors, architects, engineering firms, developers, and roofing manufacturers to ensure we deliver quality products that do what we say they’ll do. Alpine SnowGuards can help a building qualify for LEED® credits. 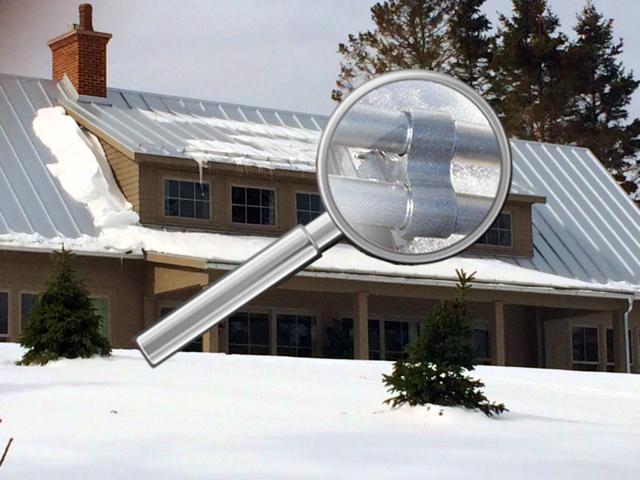 Hi – We are designing a home for central VT, have reached a stage where we need a snow control scheme for certain areas of our standing seam roof. Can I send plans and have a phone conversation with someone in sales?